Nope, Daniel isn’t an adult. 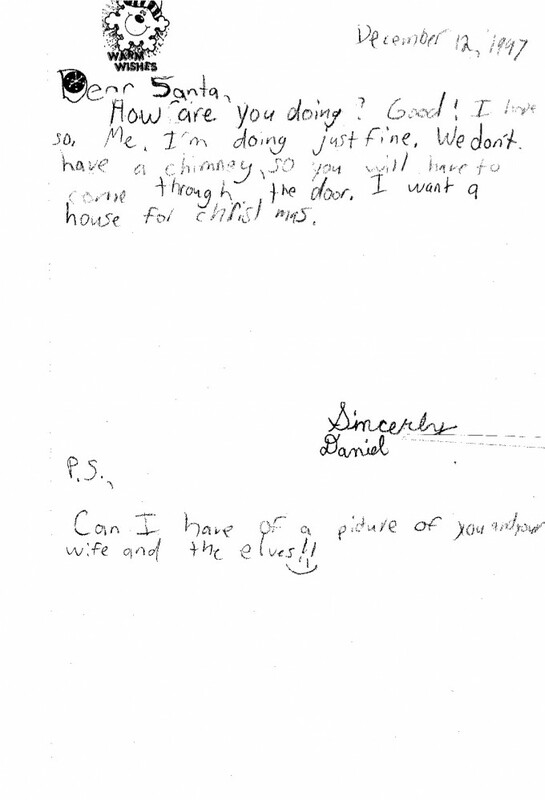 Just a kid that wants a house… and a picture of Santa with Mrs. Claus and the elves. Simple enough right?